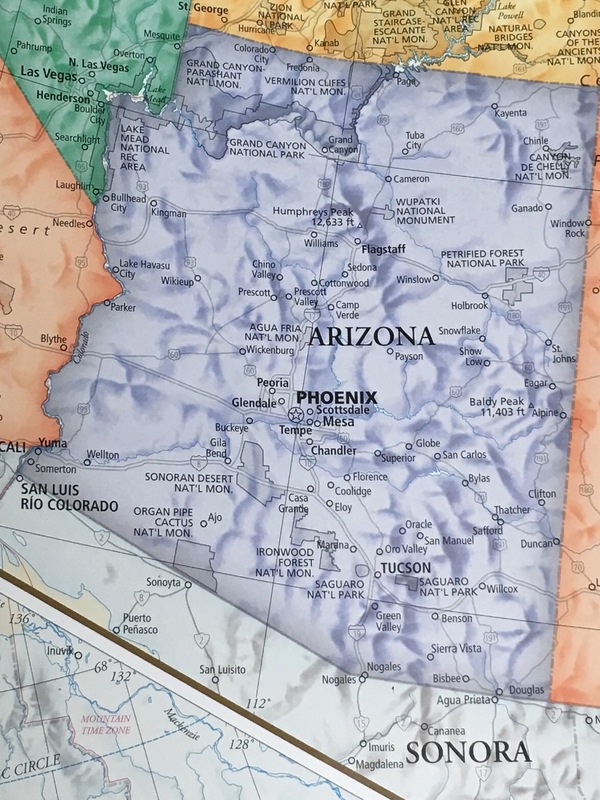 We took a week off for Holy Week & Good Friday, but we are back with the next state in our PRAYING THE 50 STATES Series.I have a special fondness for Arizona. When I was a child, my family traveled through Arizona on family vacations and saw so many beautiful sights. But also, two of my 3 college roommates are originally from Lake Havasu City, Arizona. One of them now lives in Flagstaff with her family. The 3rd roommate of mine is from the Houston area, but now lives with her family in Tuscon. This week, we are encouraging families to pray for the state of Arizona. Maybe you know of people who live in this amazingly beautiful state. If so, please add your prayers in the comments! From Stacey in Flagstaff … Northern Arizona would love your requests. Pray for health of the forests. Springtime marks the beginning of Wildfire season and many wildfires are started as people go camping and allow their campfires to spin out of control. Please pray that the community is smart about fire safety, that there are no out-of-control wildfires this year, and that those who work to battle fires are safe and effective in their mission. Here’s a local news article about the beginning of wildfire season. Pray for the maintenance of the culture of the Navajo nation. Pray for my roommate’s family and extended family. Keep the Hitesman and Collins families in your daily prayers! I would appreciate prayer for those in our state who live in fear of having their family split up due to immigration status. Many are here because they fled violence at home and wake up each day knowing they could be sent back to those violent circumstances. Kids are being taken away from their parents and vice versa. Here’s a good article about the issues around immigration in Arizona. Also, pray for public education in Arizona. It is awful in the state as a whole. We need the legislature to listen to parents and teachers about where resources need to be boosted. Do you know of others in Arizona who need prayer? Let us know and we will add to our list. Our hope is that families will take just a few moments each week to sit around a table with their children and help broaden their worldview by learning about and praying for other places around our country and our world.